The Numato Opsis is a board created specifically for HDMI2USB, especially built for the use-case of recording video. This is the strongly recommended option. However, we make available firmware for prototyping boards to ensure this project has longevity beyond Numato Opsis availability. 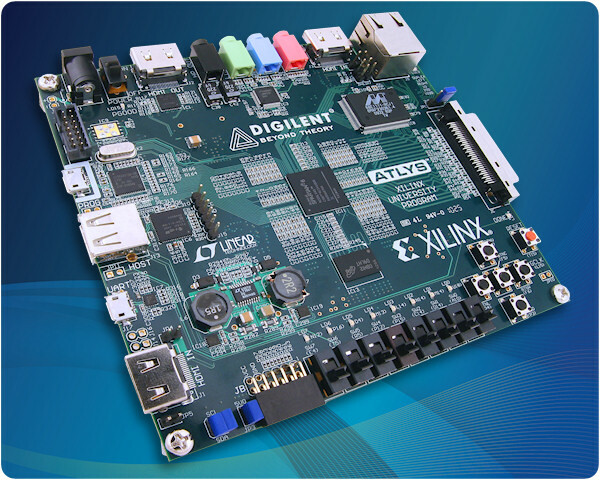 The Digilent Atlys was the original prototyping platform for developing the HDMI2USB firmware. 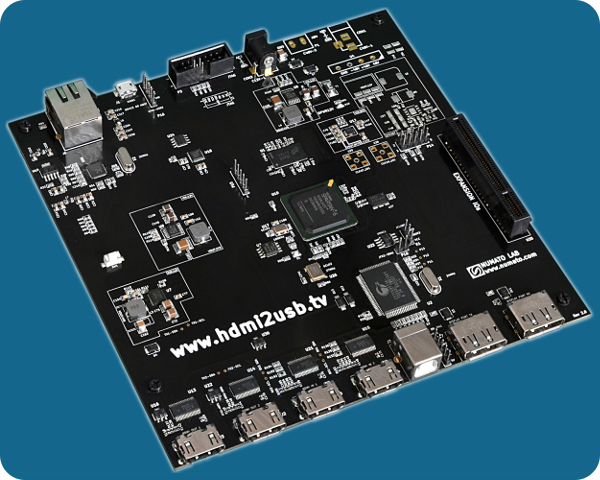 The Numato Opsis is the first HDMI2USB production board developed in conjunction with the TimVideos project. Features listed in grey are currently unsupported by the firmware. We are always investigating new possibilities of boards to support and trak details about them in the HDMI2USB on other boards section. : The Atlys board has the hot plug pin hard wired, hot plug detection and control is not supported on this board. The CEC pin is also unconnected. : On the Numato Opsis board, all the HDMI pins are under the FPGA control. This means the board support hot plug detection and control and also CEC support (which is missing from the firmware). : The PMOD header on the Atlys board is shared with the micro-HDMI connector. Only one can be in use at any one time.